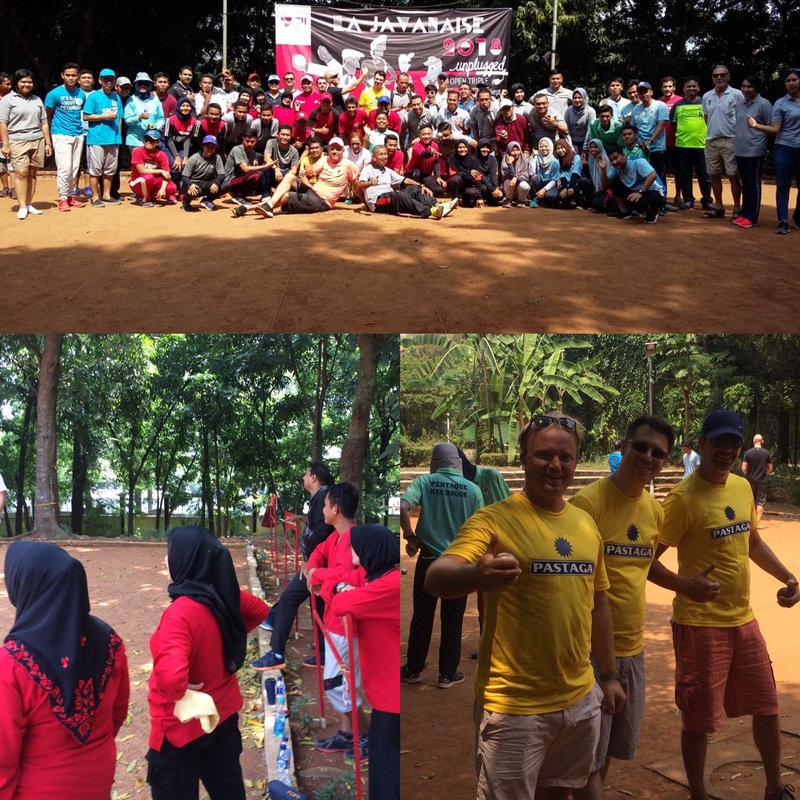 Jakarta Pétanque Club is active since 2002. 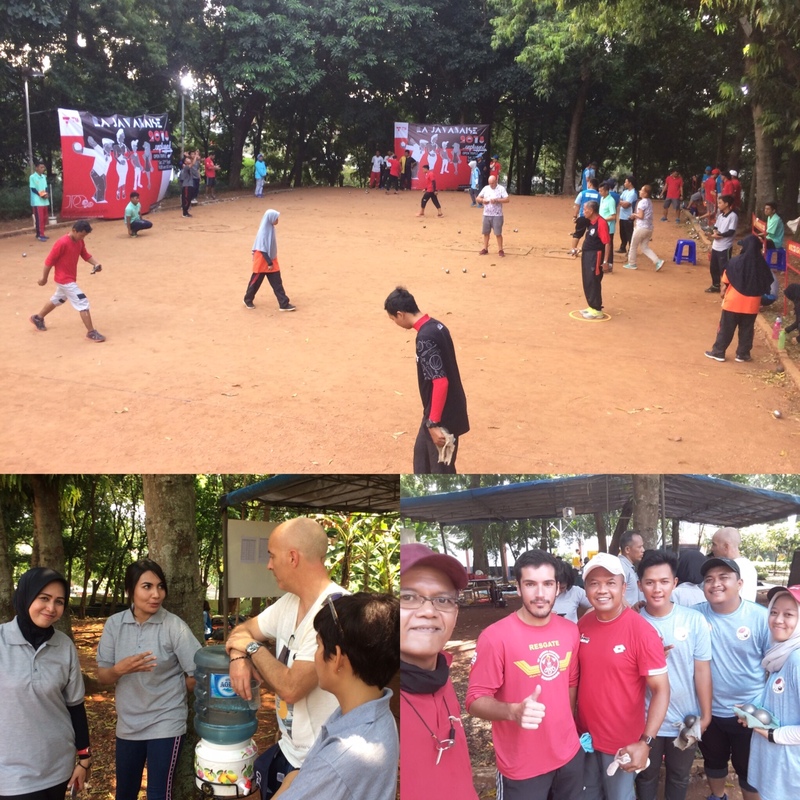 Created by a group of French pétanque lovers it is now set in GOR (Gelanggang Olahraga Ragunan) in South Jakarta. 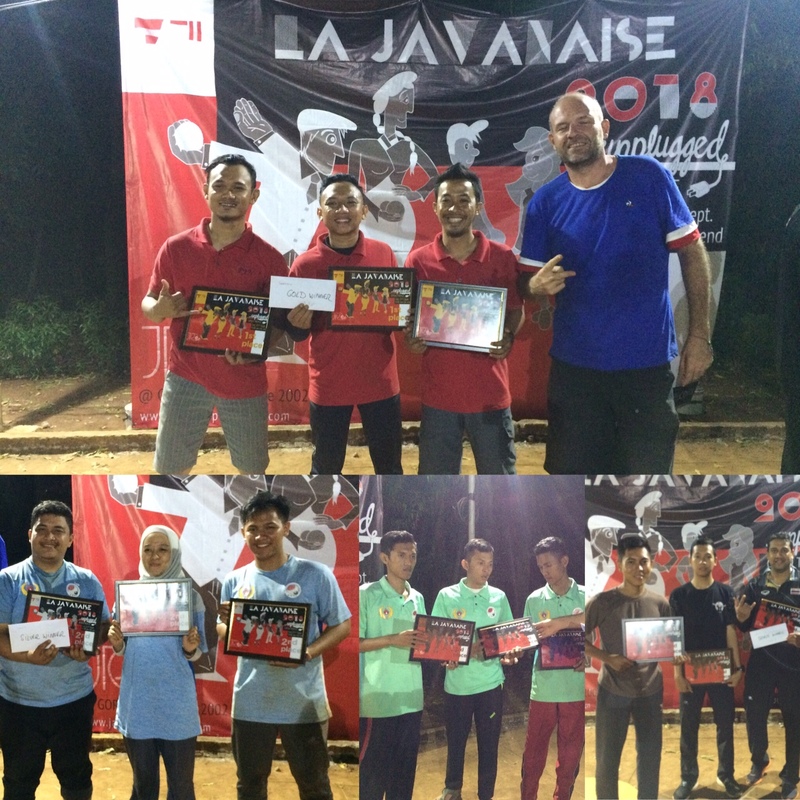 We are here to enjoy friendly games, organize events , competitions and help in promoting Pétanque in Indonesia ! All level players welcome ! Do do not hesitate to contact us anytime ! Weekly games: Every Sunday between 9.00 am & 13.00 pm. You wish to visit ? 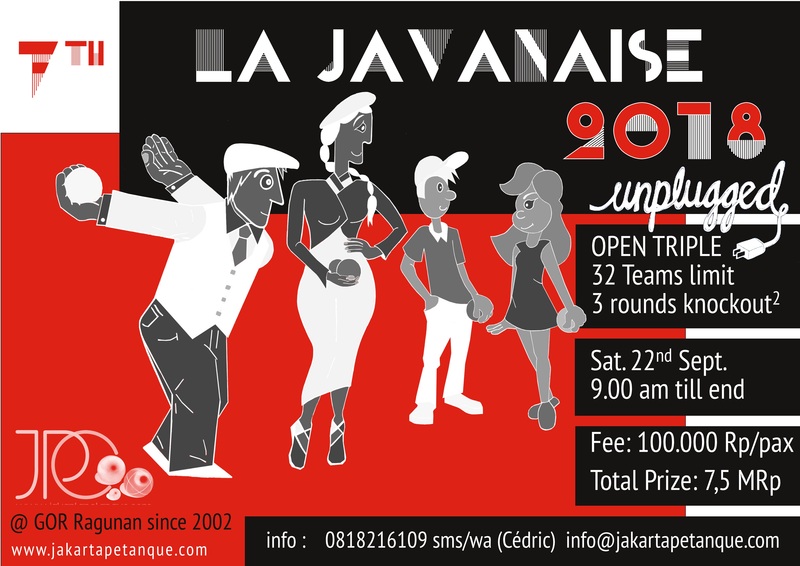 discover pétanque? become a member? play with us ? organise games ? Welcome! 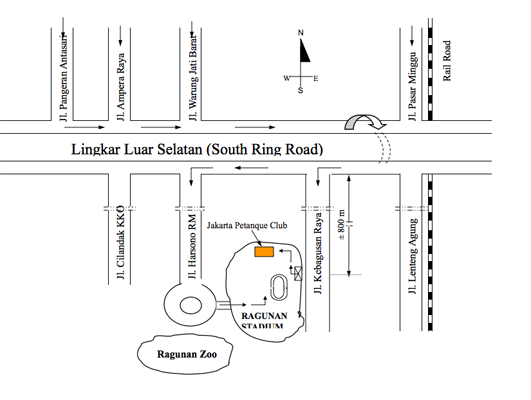 Access Maps: NOTE ! 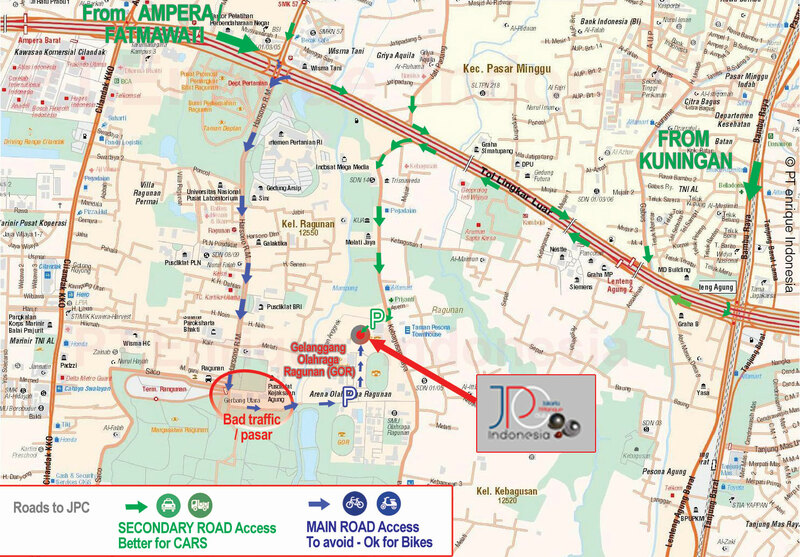 the green access on map below is closed at the moment, USE the BLUE ONE – bad traffic is gone too (need to remake the map)..
Join us and help in making JPC a place of friendship and fun. 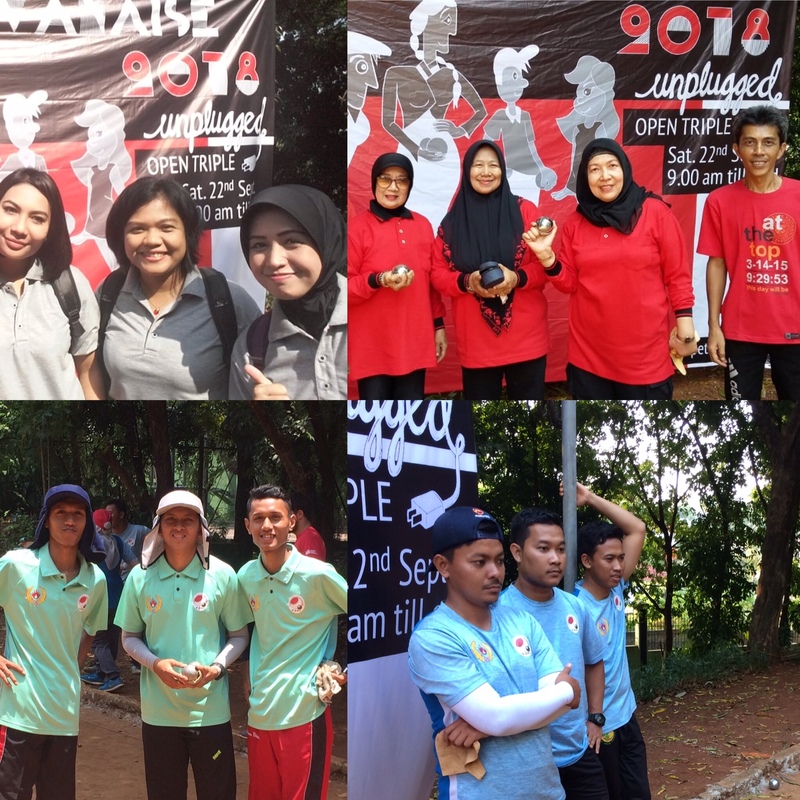 You will find there relaxing green spaces where you can practice other sports too. Lot of free kids space available too ! 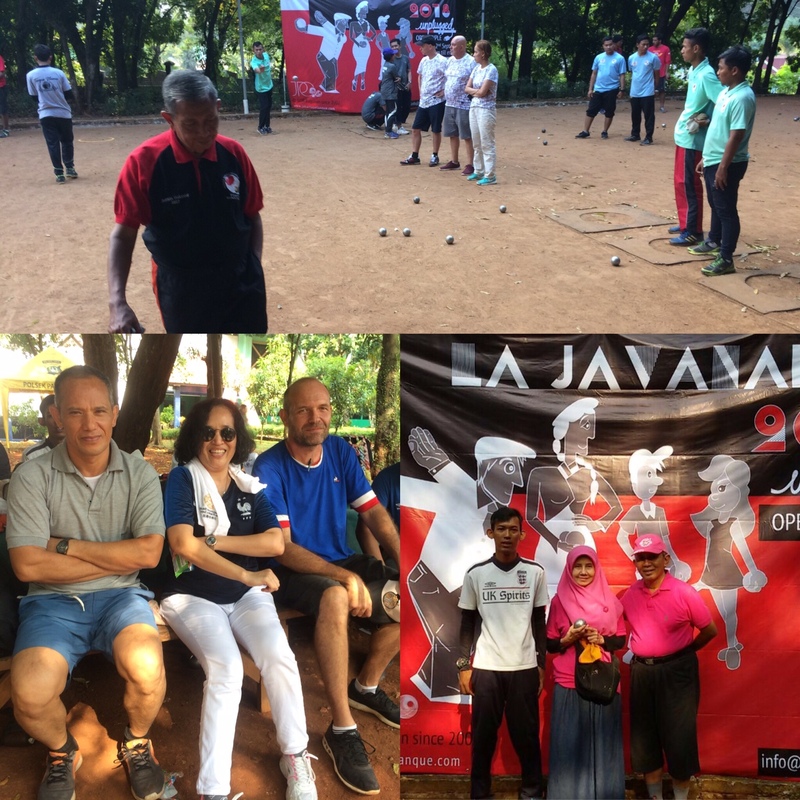 Silakan datang dan bergabung untuk perkembangan JPC dan pétanque di Indonesia. Suasana enak, lingkungan hijau di mana anda juga bisa ikut berolahraga yang lain. Banyak tempat bebas untuk anak anak anda juga. Aidez nous à faire du JPC votre espace convivial de détente. Vous y trouverez un endroit agréable et vert où vous pouvez aussi pratiquer d’autres sports. De grands espaces aussi pour les enfants sont libres d’accès.